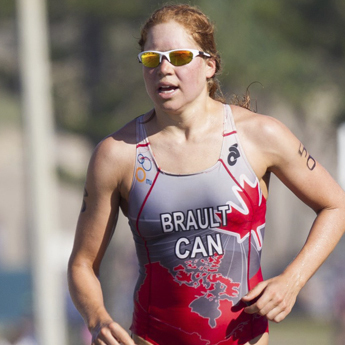 Sarah-Anne Brault grew up in Winnipeg triathlon environment, attending Kids of Steel races before coming to the realization that triathlon was something she wanted to do at a high performance level. Sarah has been living and training triathlon in Quebec City for many years, being serviced by INS Quebec. 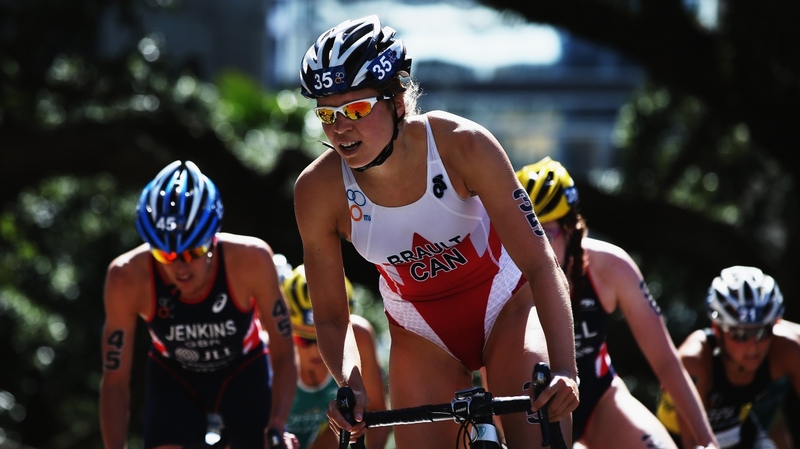 Sarah-Anne narrowly missed being selected for the London Olympic Games four years ago, and had her heart set on being named to Team Canada triathlon for this summer’s Olympic Games. 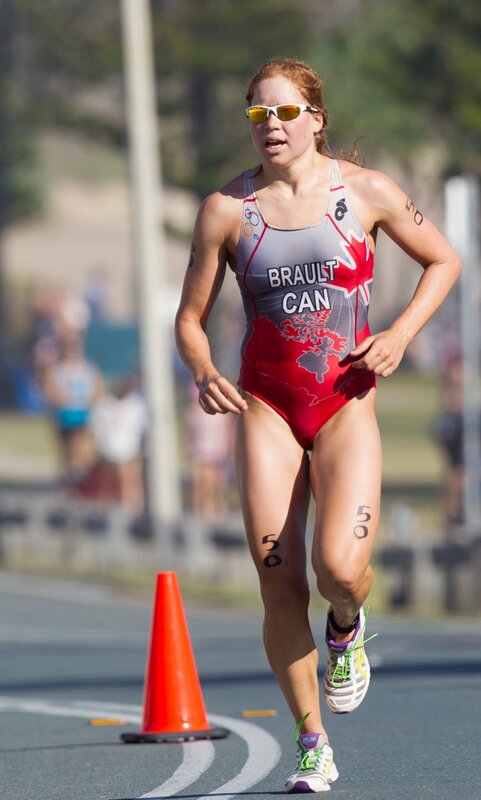 She and four other first-time Olympians were named Triathlon Canada’s squad for the 2016 Games in Rio – a dream come true for Sarah-Anne. 2016 Rio Olympics – Result: Sarah-Anne finished 42nd in women’s triathlon. 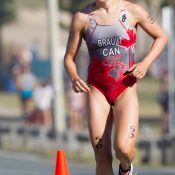 TRIATHLON CANADA (August 6) Canada’s Amelie Kretz and Sarah-Anne Brault will head to Rio de Janeiro on a high note after capturing the silver and bronze medals in their final Olympic tune-up race on Saturday in Malmo, Sweden. TRIATHLON MAGAZINE CANADA (June 29) The names have finally been announced. 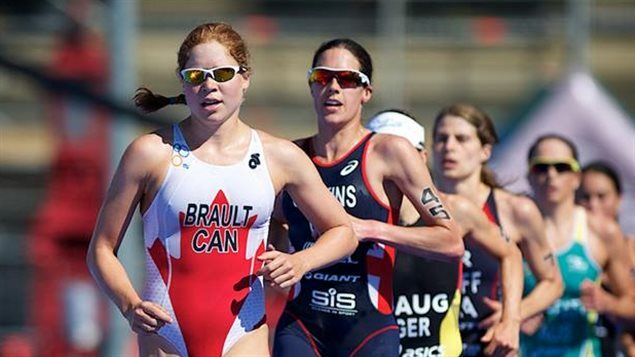 Canada will send three women and two men to the Olympic Games triathlon in Rio in August – all are Olympic rookies. 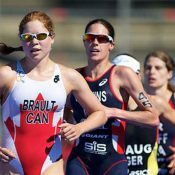 WINNIPEG FREE PRESS (June 29) Two Manitoba triathletes are now set to wear the maple leaf at the 2016 Rio Olympics. Oak Bluff’s Tyler Mislawchuk and Winnipeg product Sarah-Anne Brault are on the five-person team nominated for Rio, the Canadian Olympic Committee announced on Wednesday. 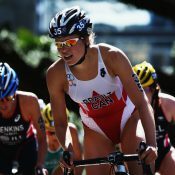 The two are among the three women and two men who will compete for Canada in the triathlon, a team composed entirely of first-time Olympians.